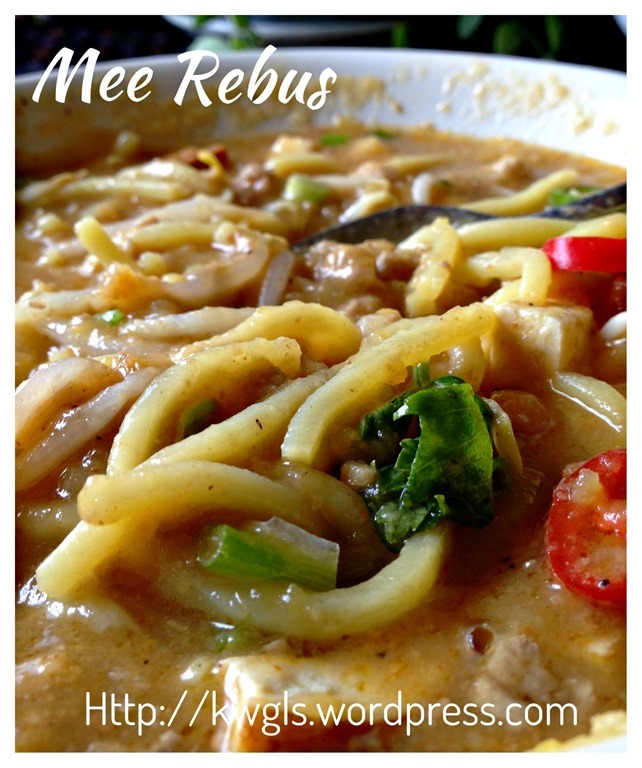 To be very frank, mee rebus is not something that I am very familiar even though it is rather common in Singapore and Malaysia..One of the prime reasons is that it was usually prepared with beef broth. I am rather sensitive to beef and usually after I took a spoon or two of the mee gravy, I will know whether or not it is prepared using beef. If it is prepared using beef, I will give the entire bowl to my wife. Having said that, that one or two spoons of noodles gravy did gave me a good impression of the comfort noodle dish well liked by many Malaysians and Singaporeans. 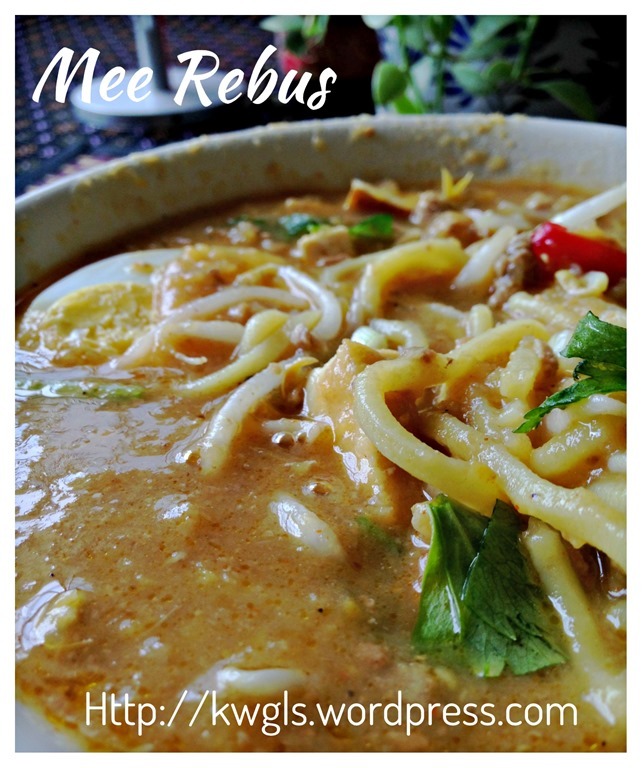 Today, I have decided to prepare Mee Rebus as my lunch using my own meat stock.. After reading through many recipes, I was rather confused and almost gave up in view of the huge number of ingredients required for the preparation. Some have prawns, some don’t. Some have beef and some are vegetarian. Some use lime leaves, bay leaves etc. and most are none. Some used castor sugar and some used palm sugar. 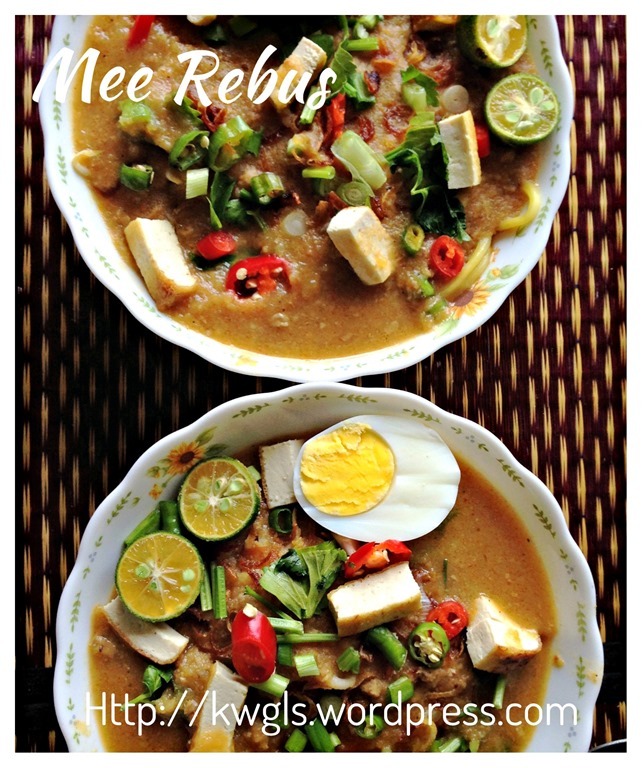 Some used sweet potatoes as a thickener and some used potatoes to thicken the gravy.. Whose is authentic and how I wish that there are certain patent and guidelines for the preparation of Mee Rebus issued by the relevant authority to guide new chefs like us in the preparation.. However, it is also understood that traditional cuisines will have as many recipes as the number of grandmothers in the village and everyone will claim that theirs is the best.. 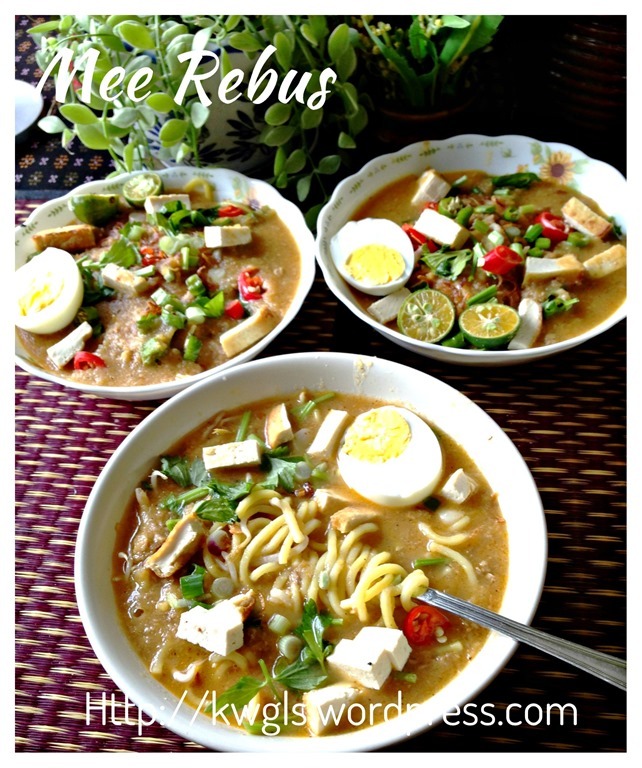 Some called it Mee rebus, others called it Mie Celor, Mee Jawa, Mee Bandong …and I am unsure whether or not these are the same.. 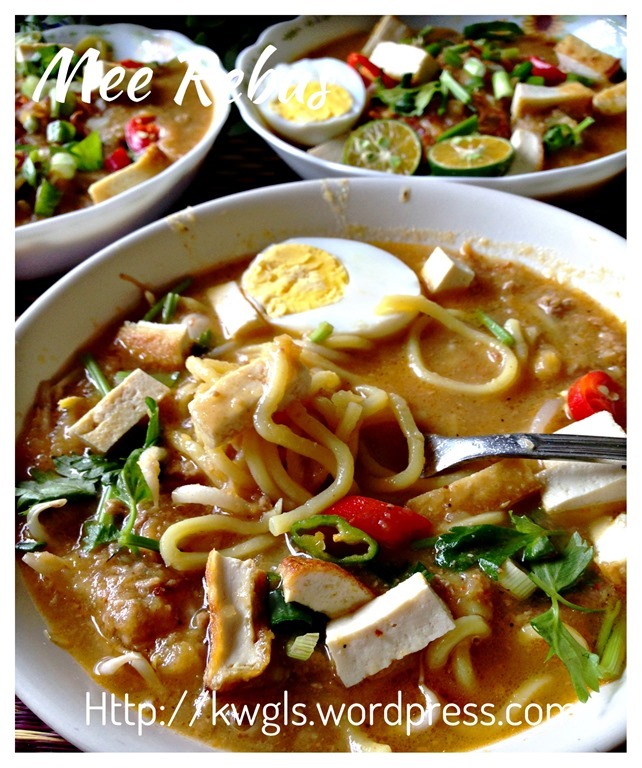 However, they do have a common characteristic, a yellow egg noodle dish with thick gravy usually prepared using meat or seafood broth.. 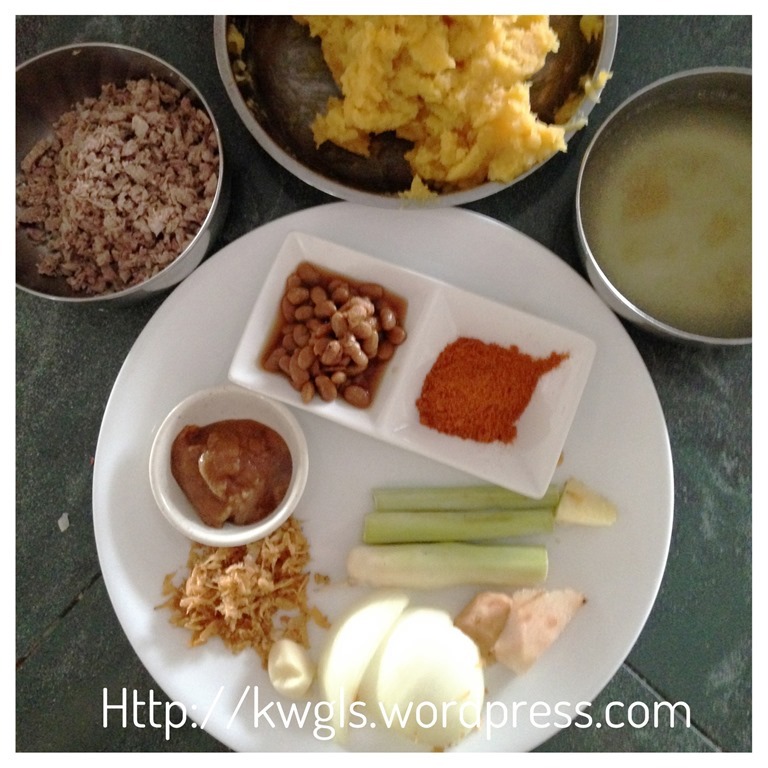 It is usually garnished by Chinese celery, bean curd, green chilli and hard boiled eggs. Steam the sweet potatoes until soft and use a fork to mash until puree form. Set aside for later use. 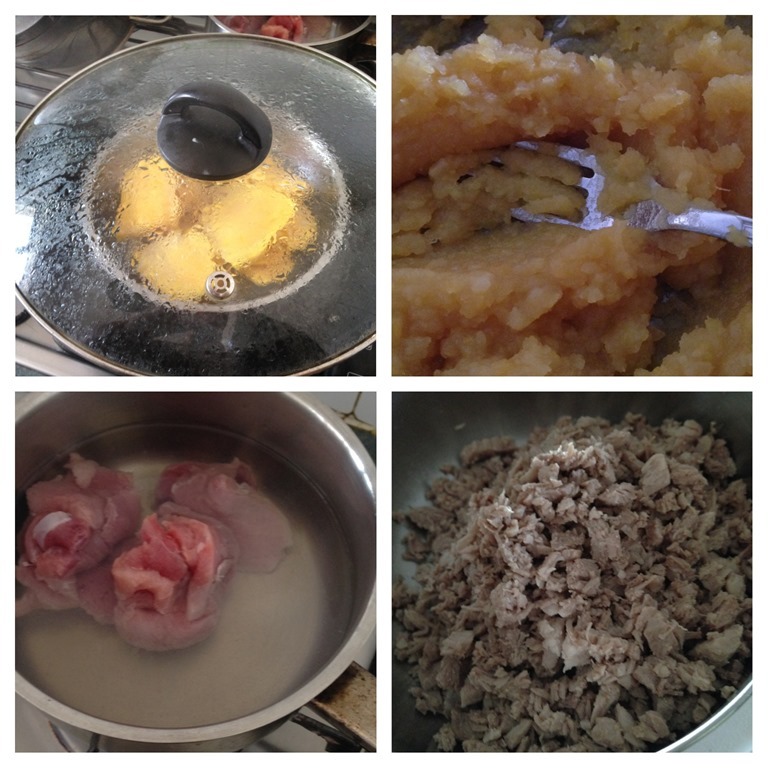 Boil the meat until cooked. Keep the meat broth. 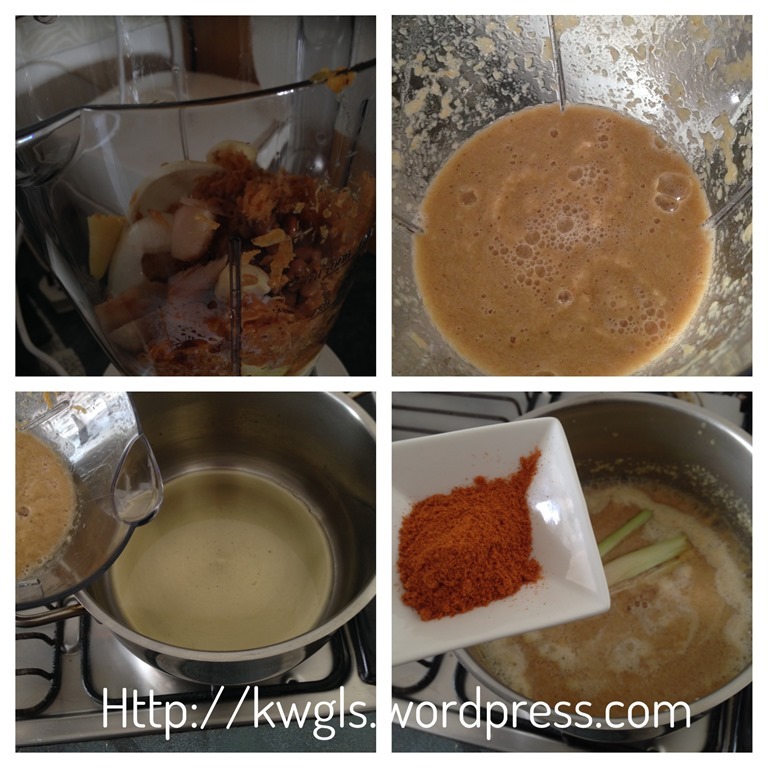 Either manually cut until small pieces or use a food processor to blend until small chunks. Put all the ingredients mark “*” in a blender, put half cup of water, blend until as fine as possible. In a bit pot, put 3 tablespoons of cooking oil, pour the rempah to the pot follow by meat curry powder and bruised lemon grass stalks. 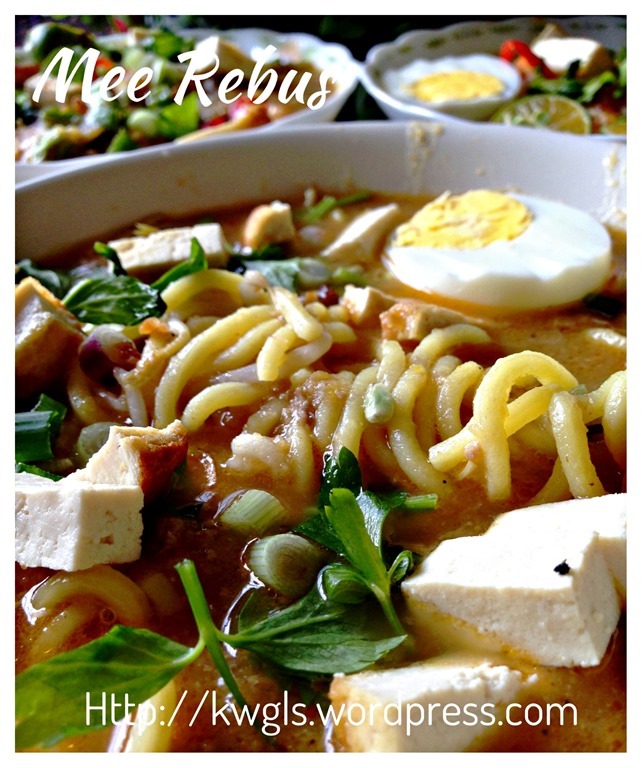 For assembly, put some beansprouts and yellow egg noodles in the bowl. 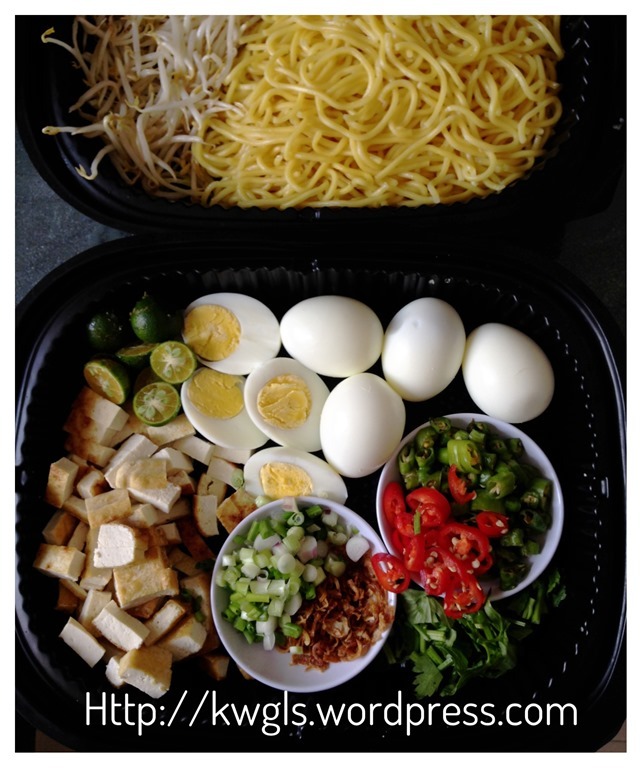 Put adequate gravy to cover the beansprouts and yellow egg noodles. 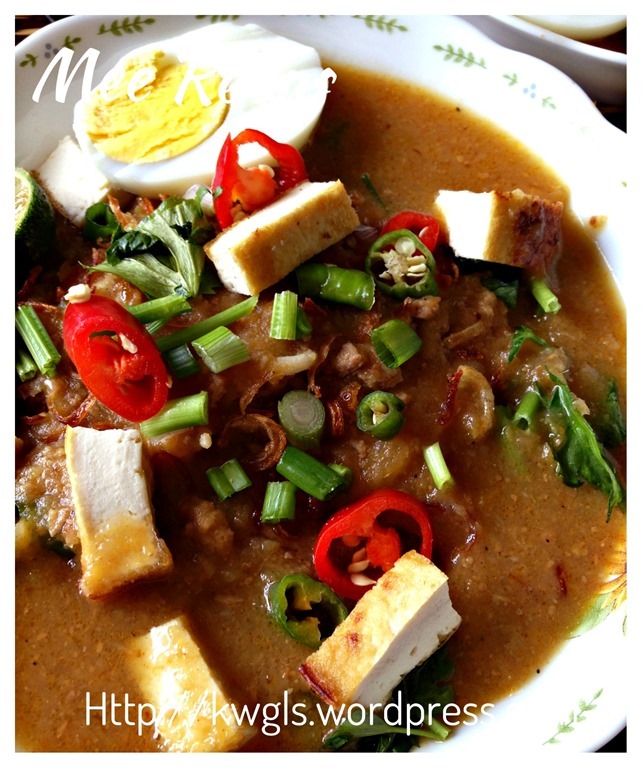 Sprinkle on top of the gravy some red chilli, green chilli, firm bean curd slices, some eggs, deep fried shallots, spring onions, Chinese celery and calamansi or small lime. The noodle is best served warm. Though the preparation is slightly more laborious but the noodle dish really worth every single effort put in. 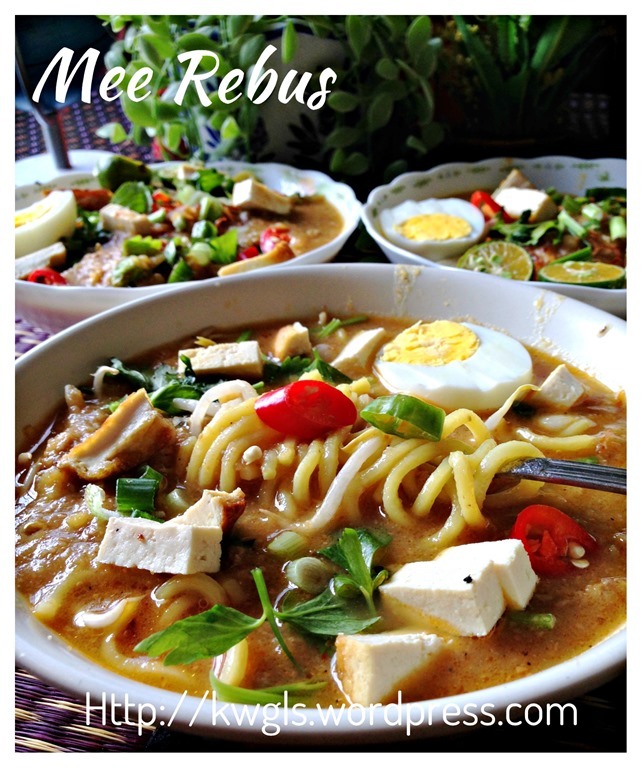 Do not ask me the difference between this Mee Rebus and Mee Jawa commonly found in East Malaysia and Indonesia or Mee Rebus Penang style or Mee Rebus Johor style or Mee Celor in Palembang, Sumatra. I am equally confused but what I knew is food history are all intertwined and it is common to have slight differences due to localization of ingredients and none shall claim his or hers as authentic. 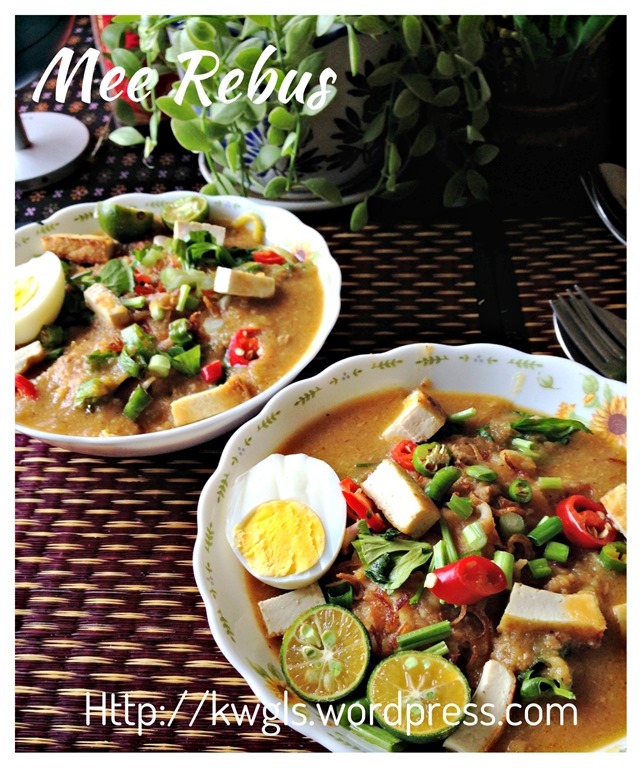 Do give it a try and let me know if it suit your taste buds. 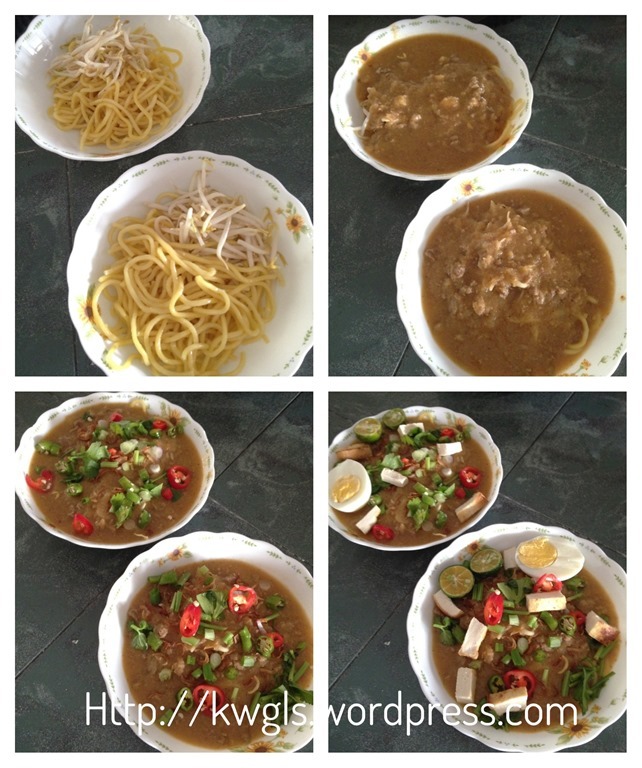 This entry was posted in Food Preparation Series, Noodles, Rice and Others and tagged 8, 爪哇面, 马来卤面, GUAI SHU SHU, Guaishushu, kenneth goh, Mee Jawa, Mee Rebus, Mi Rebus, Mie Celor, postaday. Bookmark the permalink. Hello Kenneth, love your blog! 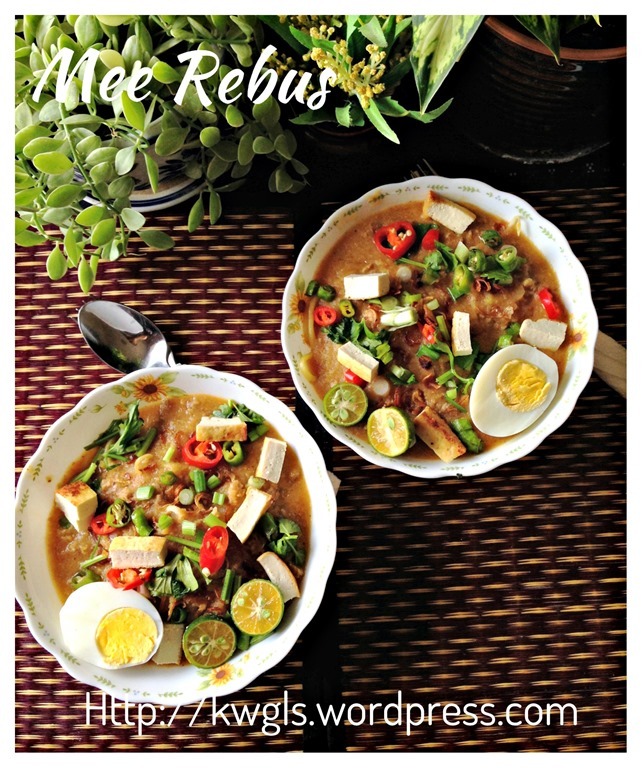 I am thinking to cook Mee rebus by using your recipe. I wonder how many servings will I get if I follow your recipe? 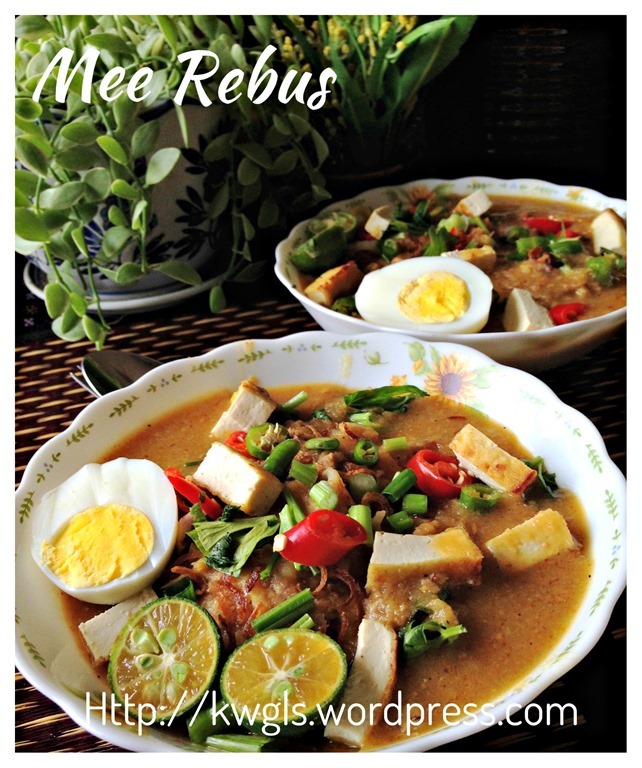 can l use pork or chicken to cook dis Mee Rebus, coz l cannot take beef. Of course. 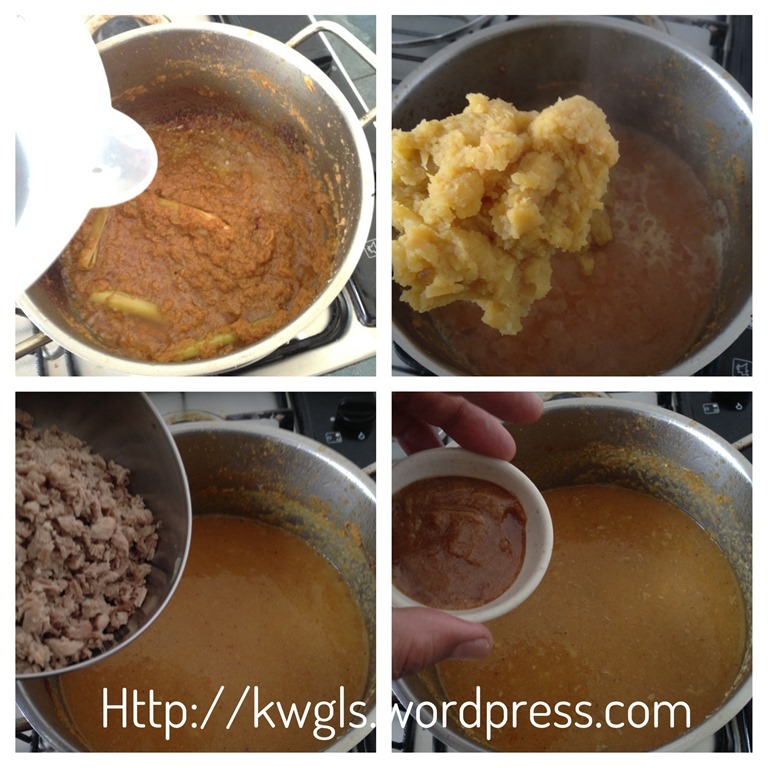 If you don’t take beef , you will not be able to differentiate authentic vs home-cooked. This recipe is the one that I am searching for. Thanks for sharing!